Joined by International Baritone, David Pike, the Kingston Chamber Choir remembers 100 years since Armistice. 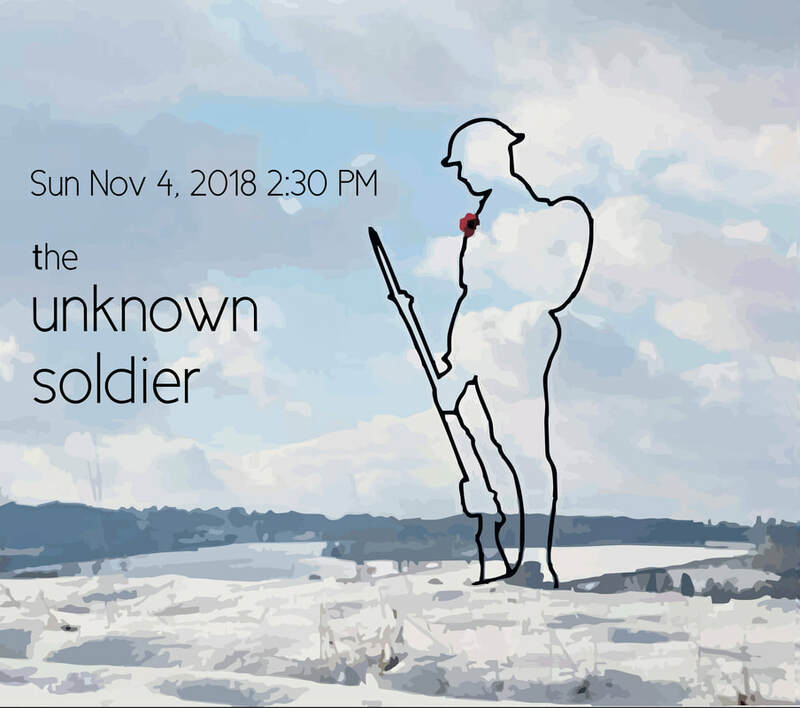 'The Unknown Soldier', by Canadian composer Andrew Ager, utilizes texts from Canadian, British, French and German poets and is composed for baritone soloist and chamber choir. Rescored for piano quartet, this performance will feature an ensemble of piano, violin, horn, and clarinet.